APRJC CET 2019: A.P Residential Educational Institutions Society (apreis) has issued Notification for Admission Test called APRJC CET 2019 for Admission into First Year Intermediate in Residential Schools across the State. This Exam can be written by OC, ST,SC, BC Students who are Studying Class 10th and going to Write their Exam in March 2019. 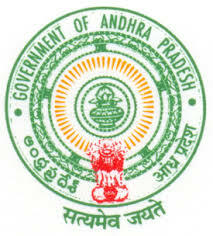 Government of Andhra Pradesh released AP Residential Junior College Common Entrance Test (APRJC) CET entrance test for admission Notification to Intermediate courses like MPC/BI.P.C/MEC/CEC in Residential Junior Colleges in Andhra Praadesh State for the academic year 2019-20.Telangana state government provides high class education to who are unable to study in leading private institutions .In this colleges, they are providing EAMCET Coaching and other competitive exams as well. APRES (Andhra Pradesh Residential Education Society) has announced the APRJC 2019 Notification . So eligible candidates thse who are interested may apply online only.To know more details regarding APRJC 2019 Application form, fee, Eligibility, Exam date,Syllabus, How to Apply and other information given below. Loco Parent system is implemented by appointing one loco parent to a group of 15 to 20 students. Long term Coaching is provided to students to prepare them for exams like EAMCET/IIT/NEET. Education is imparted through Digital Classes also. Day starts with the physical exercises and Classes will commence at 8.00am and academic activities will continue till 10.00PM in the night. Apart from the academic activities, importance is given to sports and games and other co- curricular activities for all-round development of students. Andhra Pradesh AP Gurukul Jr Colleges APRJC CET 2019 Notification released for admission into first year Intermediate for the academic year 2019-20. Telangana Residential Educational Institutions has issued officially a notification in leading newspapers for admission into Gurukula Junior Colleges. Eligible candidates can apply online now at aprs.cgg.gov.in on or before 9 April 2019. APREI Society has established the first Residential Junior College in the year 1975 at Nagarjuna Sagar, Guntur District with an objective to provide quality education to the talented children at Intermediate.Later No.of colleges increased as per the demand of the public. Presently, APREI Society is managing 10 AP Residential Junior Colleges. Out of 10 Colleges, 4 are for Boys, 02 for Girls and 01 for Co-Education, 02 for Minority Boys and 01 for Minority Girls. The candidates who are appearing for 10th Class March 2019 examinations from 13 districts of AP state are eligible. Candidates who havepassed in earlier years arenot eligible and need not apply.Candidate must be a resident of Andhra Pradesh. He/she must have passed Class 10 on the first attempt. Further, OC Candidate must secure a minimum GPA of 6 and BC, SC, ST and minority candidates must secure minimum GPA of 5 in S.S.C or equivalent qualifying examination and GPA of 4 in English for all the candidates. On submission of Application ONLINE, the candidate has to take a copy(print) of application form in which a reference number also be given. This Reference number is required to download the Hall Ticket. The copy of online application is to be preserved for further reference. Eligible and Interested Candidates Go through the Official Website of APRJC CET then Apply Online Before Final Date. Issuing of Notification: Feb 26. The question paper will be in bilingual i.e., English and Telugu. The duration of the test is 2 1/2 hours and maximum marks are 150. The question for different streams is as follows. The selection of students will be based on the merit in the entrance exam and rule of reservation. The question papers will be based on the 10th standard for subjects & English will be General English. The candidates have to mark their answers in the OMR sheets. The question papers of APRJC CET will be based on 10th standard in AP state syllabus for subjects and English will be General English.